This suggests that TBI may trigger a vicious cycle, in which brain injury causes gut dysfunction, which then has the potential to worsen the original brain injury. “These results really underscore the importance of bi-directional gut-brain communication on the long-term effects of TBI,” said Dr. Faden. Other authors of this paper include Elise Ma, a doctoral student; Terez Shea-Donahue PhD, professor of radiation oncology; Bogdan A. Stoica, MD, associate professor of anesthesiology ; and David Loane, PhD, associate professor of anesthesiology- all at UMSOM. University of Maryland School of Medicine “Traumatic Brain Injury Causes Intestinal Damage.” NeuroscienceNews. NeuroscienceNews, 8 December 2017. University of Maryland School of Medicine “Traumatic Brain Injury Causes Intestinal Damage.” http://neurosciencenews.com/tbi-intestines-8137/ (accessed December 8, 2017). Moderate-level TBI was induced in C57BL/6 mice by controlled cortical impact (CCI). Mucosal barrier function was assessed by transepithelial resistance, fluorescent-labelled dextran flux, and quantification of tight junction proteins. Enteric glial cell number and activation were measured by Sox10 expression and GFAP reactivity, respectively. Separate groups of mice were challenged with Cr infection during the chronic phase of TBI, and host immune response, barrier integrity, enteric glial cell reactivity, and progression of brain injury and inflammation were assessed. Chronic CCI induced changes in colon morphology, including increased mucosal depth and smooth muscle thickening. At day 28 post-CCI, increased paracellular permeability and decreased claudin-1 mRNA and protein expression were observed in the absence of inflammation in the colon. Colonic glial cell GFAP and Sox10 expression were significantly increased 28 days after brain injury. Clearance of Cr and upregulation of Th1/Th17 cytokines in the colon were unaffected by CCI; however, colonic paracellular flux and enteric glial cell GFAP expression were significantly increased. Importantly, Cr infection in chronically-injured mice worsened the brain lesion injury and increased astrocyte- and microglial-mediated inflammation. Very interesting. 5 years ago right now I had my gallbladder removed, and when I woke up, I had a host of other gi issues that they told me were just post surgical reactions. But a week later I had to be readmitted because I just couldn’t eat or drink and felt awful. A few months later in February, I was taking a shower and passed out landing on my head causing a tbi. I was knocked out but hubby got me to the Er where the tbi diagnosis was made. I passed out because I was so dehydrated that my blood volume was so low my heart was having a hard time pumping it, even if I just sat up! Since then, my gi system continued to be a mess through rehab for my tbi etc. I was vomiting and losing so much weight that after a hospital and nursing home stay, yuck, they sent me to a city hospital, Jefferson in Philly, where they put an emergency j tube in as my organs were showing signs of failing. I have never regained my healthy self. My stomach has been nauseous since then, trying every med, I have had a picc line and a port to help with medication and hydration. It really helps when you are dehydrated and they keep trying to stick you over and over to get a vein. They take blood from my picc now unless otherwise specified. Being hydrated keeps you feeling better generally all over. I totally Agree with this Article. Since I had my Burst Brain Aneurysm I get Infections constantly. My Doctors do Not seem to take it seriously. Every time I go to a Doctor i get told I have a infection and get put on a antibiotic. It could be a ear infection, bladder, kidney, tooth, gut, all kinds but it never stops. I ask all the time for help. I need help. My fatigue is bad. My Migraines run my life. I need a doctor that will help me. The problem is i was not suppose to survive this aneurysm so i get told just be happy you survived. And i am. the pituitary/thyroid hypothalamus glands are all tied to the gut, which is why so many people have problems/diseases. 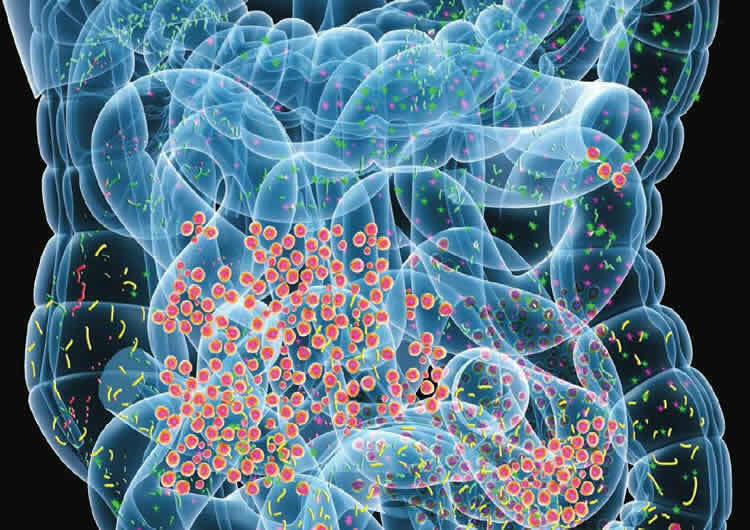 The gut health in the US is at a crucial ow. The Gut is where ALL illness begins. This cant be new information 2017?? Interesting considering so much recently blaming the gut health in a more almost exclusive way. Unfortunately there is so much blame and shame, and judgement on the individual that if we don’t eat right or can’t get our mental act together as if all primarily up to the person’s own choices or lack of. People need encouragement, education, information, truth, various forms of help. And we need to look in broad directions and the role society plays. Not playing such critical, judgemental blame games of individuals making people feel that their health is mostly all their own fault.